Windows 10 Mobile is finally available for older Windows devices running Windows Phone 8.1 OS. Windows 10 Mobile is here at last for older Windows phone devices after months of waiting and rescheduling of Microsoft’s big update for mobile with respect to the one Windows ecosystem. 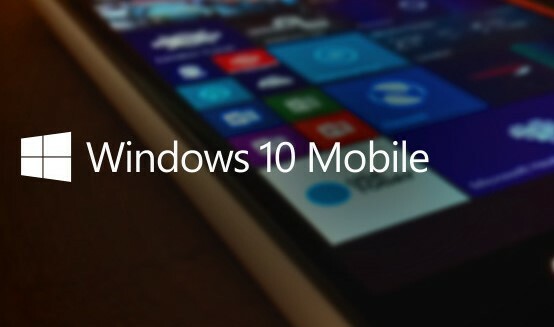 Windows 10 mobile has been available officially since the release of the new devices, that come preinstalled with them. Microsoft has been working to make this upgrade available to most if not all existing windows phone 8 and 8.1 devices, probably a reason for the delay. Microsoft recommends that you download the UPGRADE ADVISOR app (for free, from store). This app will check on your hardware and storage and make sure you are set and ready for the upgrade installation. What this also means is that you’ll need to be running the upgradeable windows phone version of 8.1 GDR1 QFE8 or later. Windows 10 Mobile upgrade is an OTA (over-the-air) update as such you’ll need to connect to a wifi for this. The upgrade size could be at least 1.4 GB or more depending on your device. The availability of Windows 10 Mobile as an upgrade for existing Windows Phone 8.1 devices varies by device manufacturer, device model, country or region, mobile operator or service provider, hardware limitations and other factors. So you what do I do if I joined the Windows Insiders and i’m already running the latest Windows 10 Mobile preview builds? Well you are actually up to date. If you don’t want to run preview builds any longer switch to the production flight and at the next update you’ll be set to normal. If you want to continue with the preview nothing changes for you. If you do the upgrade and want to get back into the insider preview builds, you might have to check from this list if your device has been added. Cortana is only currently available on Windows 10 for the United States, United Kingdom, China, France, Italy, Germany, Spain, India, Canada (English), Australia, and Japan. Speech-to-text is only currently available on Windows 10 in the United States (English), United Kingdom (English), China (Simplified Chinese), France (French), Italy (Italian), Spain (Spanish), Germany (German), Canada (English), Australia (English), India (English) and Japan (Japanese). At launch, Windows Hello is limited to selected premium phones and requires specialised hardware, including illuminated infrared camera sensor for facial recognition or a fingerprint reader that supports the Window Biometric Framework. To check for device compatibility and other important information, visit your device manufacturer’s website. Let us know if you are receiving or aren’t noticing the update and what device you are using. Click to download the Upgrade Advisor app here .